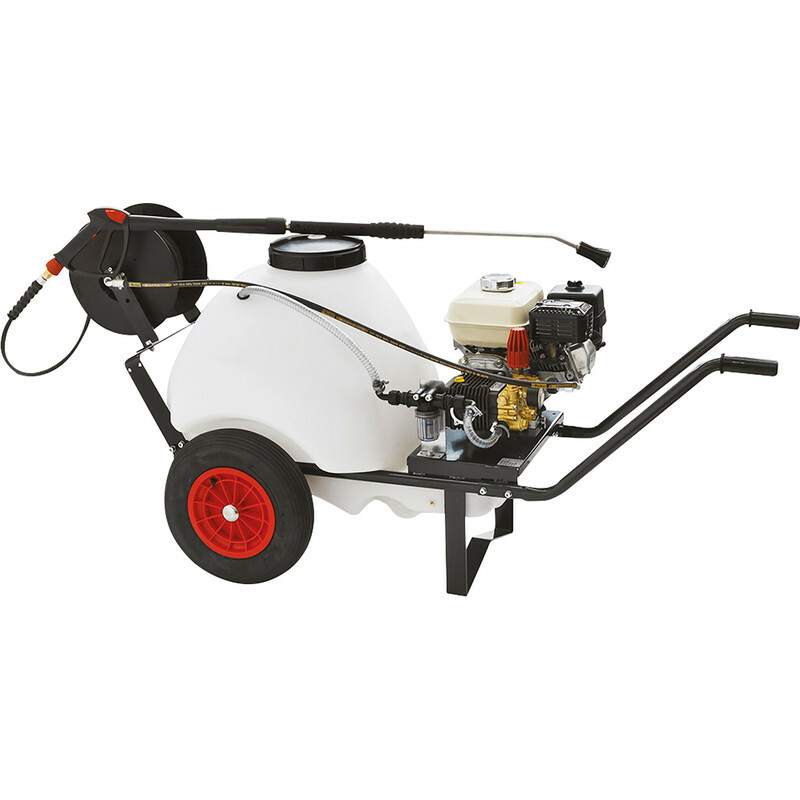 The SIP HONDA Bowser Petrol Pressure Washer has a HONDA 5.5HP GX160 Engine and has a maximum of 2320psi. Max Output 480L/hr and is fitted with a 120L fuel tank. Fitted with a brass head triplex pump. The pressure washer comes with heavy duty pneumatic wheel, 5 interchangeable nozzles and a 15m integral HD hose.